The EU’s embrace of one of the world’s most loathed leaders may be hypocritical, but it has strong strategic reasons for backing him. 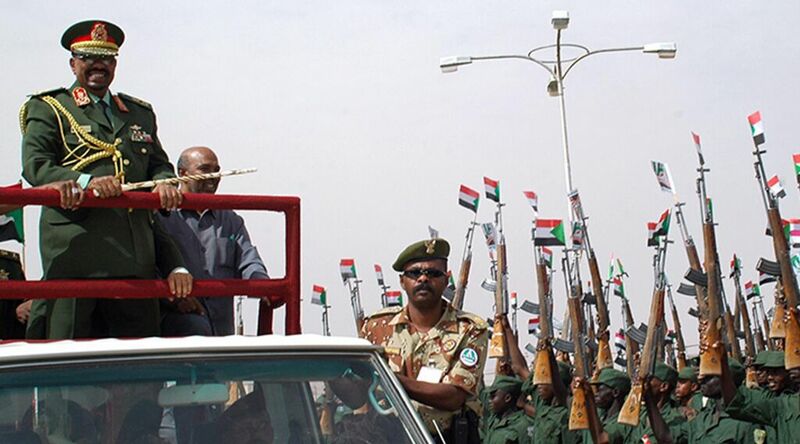 Sudanese President Omar al-Bashir is about as much of a pariah as it is possible for a head of state to be. The man seems never to have met a terrorist group he did not like. Bashir invited Osama bin Laden to the country in the 1990s, shipped weapons for Hamas, and invited Islamic Revolutionary Guard Corps (irgc) to set up camp. He’s also wanted for war crimes, crimes against humanity, and genocide, and is the first sitting head of state to be indicted by the International Criminal Court. And he’s also the proud recipient of tens of millions of dollars in cash from the European Union. Turkish President Recep Tayyip Erdoğan is not the only unsavory character Europe has turned to in an effort to solve its migrant crisis. Last October, the EU called for more cooperation with Sudan to combat migrant trafficking. Then in April, it announced a $110 million aid package for the nation—paid out of the EU’s $2 billion “Emergency Trust Fund for Africa.” The money is to be spent on, among other things, “improving security at the borders.” The next month, Der Spiegel and the New Statesman reported that the EU would spend $45 million to train border police and provide equipment in Sudan and seven other African countries. “Under no circumstances” should the public learn about this plan, the European Commission warned. The funds will also help Sudan build “reception centers.” “Sudan is effectively being funded to stanch the flow of migrants and refugees to Europe—and to build open-air prisons to house them,” wrote Foreign Policy. The EU’s hypocrisy here is staggering. It will not deport migrants back to Eritrea or Syria because that would violate their human rights. But it is perfectly willing to pay a pal of Osama bin Laden millions of dollars to use a militia implicated in genocide to deport or incarcerate them. Bashir cannot set foot in the EU without being arrested, but Europe’s leaders are happy to give him bucket loads of cash. And then they lecture other nations on the humane way to treat migrants. But there may be more at work here than just the migrant crisis. A rapprochement with Sudan could dramatically improve Europe’s position across the region. Sudan used to be Iran’s best friend in North Africa. The Sudanese Army was essentially set up by and patterned after the irgc. Conflict Armament Research reported in 2013 that besides “large-scale supplies of weapons and ammunition from Iran to Sudan,” there is “growing evidence to suggest that the government of Sudan manufactures weapons of Iranian design, operates weapons production facilities with Iranian assistance, and supplies Iranian-manufactured weapons to forces allied to it in the region.” In 2011, the Telegraph reported that members of Iran’s elite Quds Force were based in Sudan. Sudan was the vital link between Iran and all kinds of terrorist groups, militias and rogue states across North Africa. But not anymore. The two best friends have fallen out in recent years. Bashir transferred his allegiance to the Saudi-led bloc of fellow Sunni states. In March 2015, Sudan joined the Saudi-led coalition in Yemen against the Iran-backed Shia Houthi rebels, and in January, Sudan cut off all relations with Iran. In return for the help in Yemen, Saudi Arabia has reportedly deposited $1 billion into Sudan’s central bank, boosting the nation’s foreign reserves, and stepped up its investment in the nation. Europe’s generosity may also be aimed at keeping Sudan in the anti-Iran camp. “Northern Africa is turning into a battleground with enormously important prophetic implications,” wrote Trumpet editor in chief Gerald Flurry in April 2013. The Trumpet has long forecast that Europe will seek to contain Iran through a set of alliances in the region. This is exactly what we see in Sudan. That doesn’t mean Sudan will stick permanently with Europe. Sudan’s move to the Saudi camp is a “relationship of convenience,” as Guardian Unlimited quoted analyst Magdi al-Gizouli saying. “I don’t think there’s a strong ideological commitment,” he said. “The main driver of foreign relations is the situation of the ‘bank of Sudan,’” he said. With Iran growing richer in the wake of its nuclear deal, and Saudi Arabia hit by low oil prices, Iran could regain its old friend. But for now, Europe is taking its chance to block Iran in North Africa, despite the character of the leader it has to work with.